It’s called stubborn fat on purpose. Fat deposits are always difficult to remove in specific areas because no matter how much pain you put into eating healthy and exercise, there may be no gain. It’s virtually impossible to lose that muffin top and those love handles. You’re forced to just live with them or think surgery. Which is not cool by us, and exactly why CoolSculpting® was developed. So how cool is it that Harvard scientists invented something that does? A precisely controlled, FDA-cleared, Health Canada approved and patented process that simply targets, cools, and eliminates fat cells without damage to your skin. After one treatment, your body does the rest as the crystallized fat cells break down and are naturally eliminated. Check out this image below from DermMedica, this our own real patient who had phenomenal results after her CoolSculpting treatments. Just imagine getting rid of those pesky fat deposits forever with a few simple treatments that have you back to normal activity immediately, no downtime at all! There is a reason that CoolSculpting is one of our most popular treatments, it just works. 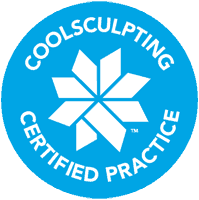 Contact us online or give us a call today to find out of you are a good CoolSculpting candidate. How Long Does It Take to See the Results of Fat Removal? CoolSculpting usually takes 2-3 months to see the results of each session. 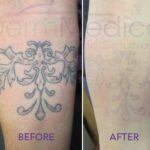 The results are gradual but usually take a little bit of time following your treatment session. How Do Surgical Methods of Fat Reduction Affect Overall Health? Overall health is likely improved with fat or adipose tissue removal as this kind of tissue produces hormones that can adversely affect your health in the long term. 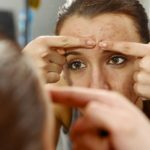 Does the Fat Reduction Setting Also Cause Skin Tightening? Fat reduction does not directly cause skin tightening so other strategies should be employed (if possible) to achieve this goal. What Are the Risks of Fat Removal? CoolSculpting has risks associated with it as do all medical procedures albeit these side effects are minimal when you compare it to major surgery like liposuction. Common side effects include numbness at the site, bruising, tenderness, swelling and other transient and minor consequences. There are other risks that can be reviewed with a formal coolsculpting assessment. Is Fat Removal Safe and Effective? CoolSculpting is exceedingly effective and very safe for most patients. We need to select appropriate patients for this procedure so not everyone is a good candidate. Is Fat Removal Procedure Painful? CoolSculpting is not painful, most patients will describe it as mildly uncomfortable for the first few minutes of treatment which subsides as the treatment area is chilled for approximately 30 minutes. What Fat Reduction Treatments Are Available? CoolSculpting is the most popular non-invasive fat removal treatment today that removes about 20% of the fat layer with each treatment session. What Is the Cost for Non Surgical Fat Reduction? Cost for CoolSculpting varies widely depending on the patient and their needs but one session usually starts at around $750 and up. How Many Treatment Sessions Do I Require? We cannot assess this until we see you in person but plan for at least 2 sessions per area for a noticeable result with CoolSculpting. Is it Possible to Reverse Fat Removal? Once a fat cell has been removed or is eliminated (ie., coolsculpting) it cannot grow back. The other fat cells in the area can grow and shrink but they will never make new ones after we reach puberty. This is entirely dependent on the area and amount of change you wish to see. We usually recommend at least 2 sessions per area treated to have some noticeable results. Is the Treatment Painful or Any Side-Effects? During the treatment you will feel a firm pulling on the skin as the skin and fatty tissue is sucked into the chilling applicator for temporary freezing. Once the treatment has begun, there is usually little to no discomfort. Side effects that are normal include numbness in the treated area, swelling, occasional bruising and tenderness. These can last days to weeks and are normal for most patients. You can resume all normal activities immediately!